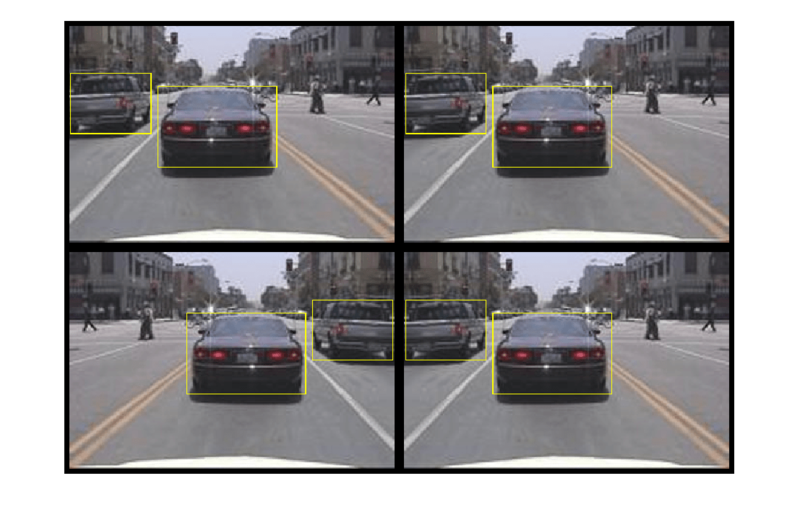 This example shows how to train a vision-based vehicle detector using deep learning. Vehicle detection using computer vision is an important component for tracking vehicles around the ego vehicle. The ability to detect and track vehicles is required for many autonomous driving applications, such as for forward collision warning, adaptive cruise control, and automated lane keeping. Automated Driving Toolbox™ provides pretrained vehicle detectors (vehicleDetectorFasterRCNN and vehicleDetectorACF) to enable quick prototyping. However, the pretrained models might not suit every application, requiring you to train from scratch. 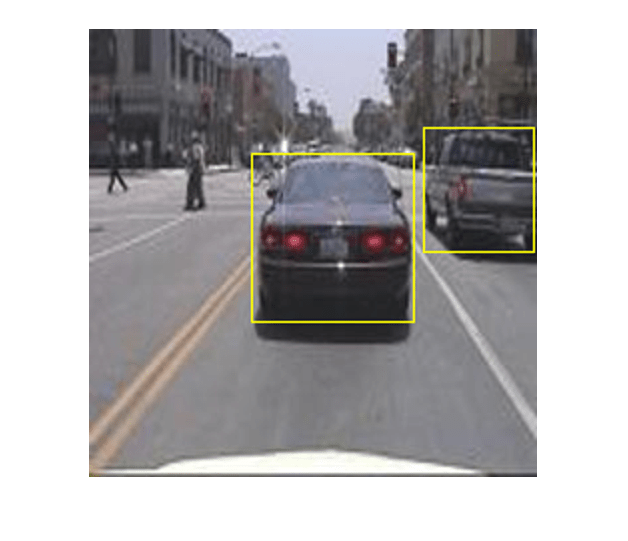 This example shows how to train a vehicle detector from scratch using deep learning. Deep learning is a powerful machine learning technique that automatically learns image features required for detection tasks. There are several techniques for object detection using deep learning such as Faster R-CNN and you only look once (YOLO) v2. This example uses the Faster R-CNN  technique, which is implemented in the trainFasterRCNNObjectDetector function. 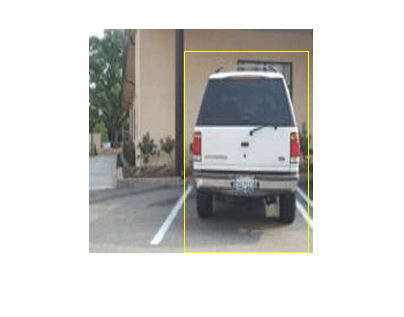 To learn more, see Object Detection using Deep Learning (Computer Vision Toolbox). Note: This example requires Deep Learning Toolbox™. Parallel Computing Toolbox™ is recommended to train the detector using a CUDA-capable NVIDIA™ GPU with compute capability 3.0. The Faster R-CNN object detection network is composed of a feature extraction network followed by two sub-networks. The feature extraction network is typically a pretrained CNN such as ResNet-50 or Inception v3. For more details, see Pretrained Deep Neural Networks (Deep Learning Toolbox). The first sub-network following the feature extraction network is a region proposal network (RPN) trained to generate object proposals (object or background). The second sub-network is trained to predict the actual class of each proposal (car or person). This example uses a pretrained ResNet-50 for feature extraction. Other pretrained networks such as MobileNet v2 or ResNet-18 can also be used depending on application requirements. The trainFasterRCNNObjectDetector function automatically adds the sub-networks required for object detection. You can also create a custom Faster R-CNN network. See Create Faster R-CNN Object Detection Network (Computer Vision Toolbox). To quickly verify the training, run the detector on a test image. Testing a single image showed promising results. To fully evaluate the detector, testing it on a larger set of images is recommended. 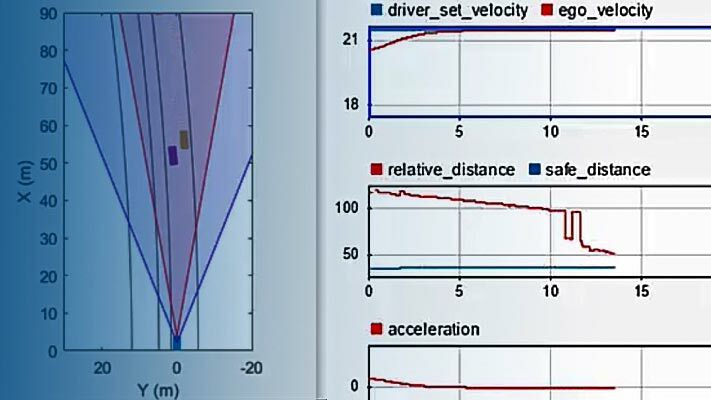 Computer Vision Toolbox™ provides object detector evaluation functions to measure common metrics such as average precision (evaluateDetectionPrecision) and log-average miss rates (evaluateDetectionMissRate). Here, the average precision metric is used. The average precision provides a single number that incorporates the ability of the detector to make correct classifications (precision) and the ability of the detector to find all relevant objects (recall). The first step for detector evaluation is to collect the detection results by running the detector on the test set. To avoid long evaluation time, the results are loaded from disk. Set the doTrainingAndEval flag from the previous section to true to execute the evaluation locally. 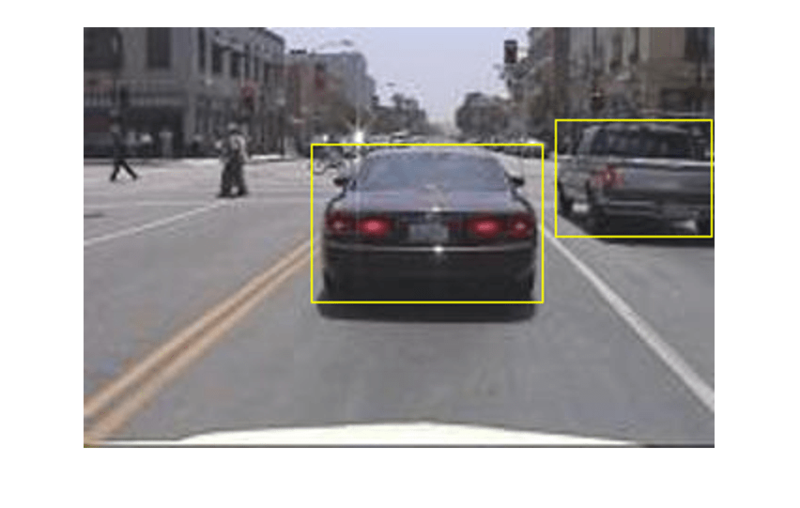 This example showed how to train a vehicle detector using deep learning. You can follow similar steps to train detectors for traffic signs, pedestrians, or other objects. To learn more about deep learning, see Object Detection using Deep Learning (Computer Vision Toolbox).